Bryan is a tax manager at Rekdal Hopkins Howard. He has been with the firm for 7 years, and was one of the first staff members hired on after graduating from Gonzaga University. He has a wide variety of tax experience that includes tax planning and compliance for corporations, partnerships, trusts, estates and high net worth individuals. Bryan has significant experience working with clients in retail dealer services, real estate and professional service niches. He also specializes in advising clients on the tax implications of different employee stock option plans. 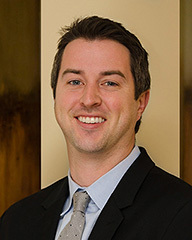 Bryan understands the intricacies of tax regulations and their relationships to his clients. He values the importance of client service and is always willing to go the extra mile. Bryan received his Bachelor of Business Administration in Accounting and Finance from Gonzaga University. Bryan is a member of The American Institute of Certified Public Accountants and The Washington Society of Certified Public Accountants. When Bryan is not in the office, he spends his time with Kelsey, his wife, and their son, Miles, as well as their black lab, Cooper. He also enjoys golf, traveling and watching his beloved Zags on the hardwood.